Pokémon Go augment reality app has been smash up USA app store gaming history in just few days. Now we don’t thinks about when it’s available other countries or internationally. Now along with this success, hundred of promotional offer came out related to Pokémon go. 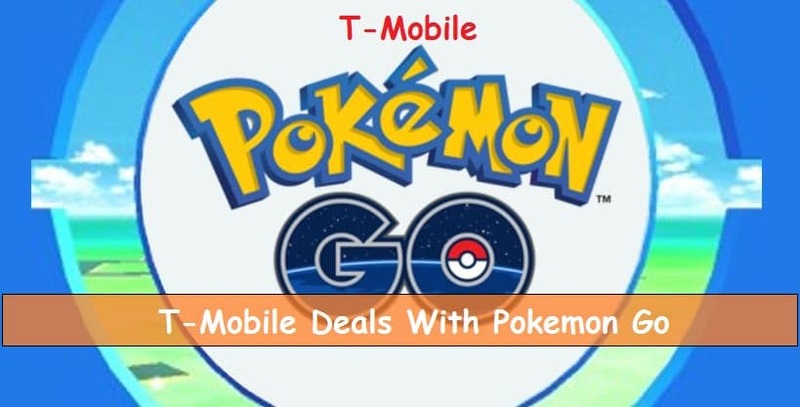 T-Mobile deals for Pokémon Go is running and very interesting for all iOS and Android users as well. Get Full Offers list and How to participate by being with T-Mobile. It’s official announcement on T-Mobile newsroom, Pokémon Go play for a year and more gifts, T-Mobile Existing customer or New T-Mobile customers can claim this offer within limited time period. T-Mobile’s newly offers and announcements for the customer’s benefits are now easier to find from T-Mobile Tuesday app (Available on App store and Play store). Through this app Users can find best deals around the top brands and Prizes. People now are more social with this T-Mobile app. Pokémon Go is best way to present this beautiful app to all mobile users, who are in T-Mobile or other carrier users. So let’s see what T-Mobile customers enjoy “T-Mobile Deals for Pokémon Go”. With Pokémon Go app, T-Mobile Tuesday app also reached at number one position in app store search. Five people can win hunting trip anywhere in U.S.
250 People can win $100 for PokeCoins. 50% off on select accessories on T-Mobile store, Accessories including Power Banks and Charger for unlimited play hours. This offer will be visible on T-Mobile Tuesday app (App store and Play store). Claim the Pokémon Go gift will open between 19th July to 9th August from app. And it’s very easy to Redeem via app (Install app and get the straightway on how to Redeem T-Mobile Deals for Pokémon Go). Don’t be selfie, Spared this news and smile to your friends by delivering “T-Mobile Deals for Pokémon Go” on social profile by sharing it on Google+, Twitter and Facebook.